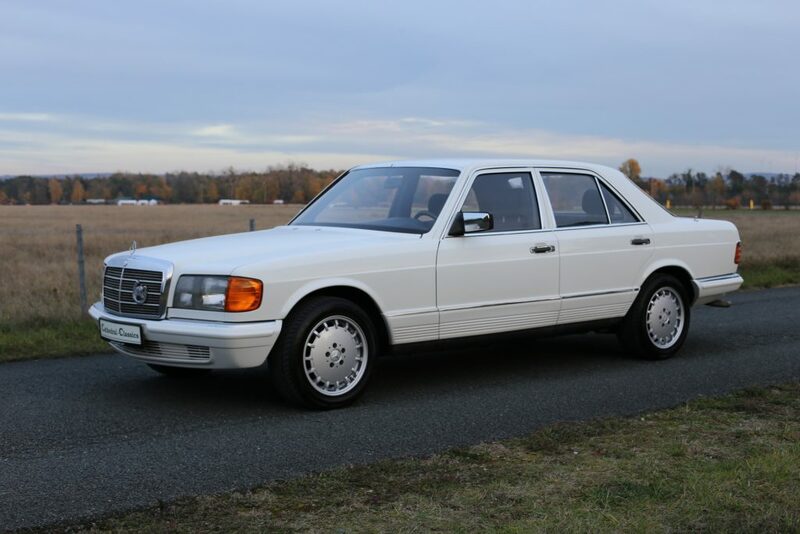 HISTORY FILE – This example has enjoyed very limited use in the last 4 years, covering no more than 3500 km’s. 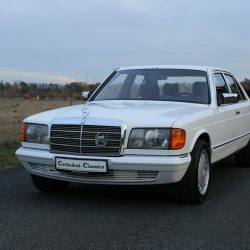 Such is the quality if these tough built quality vehicles, this particular car was the daily driver of a classic car dealership owner! 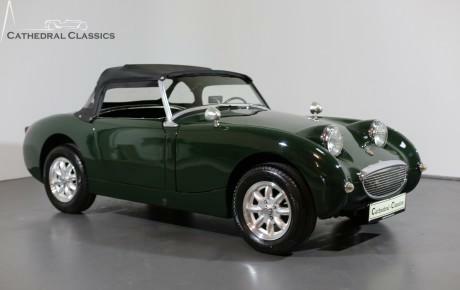 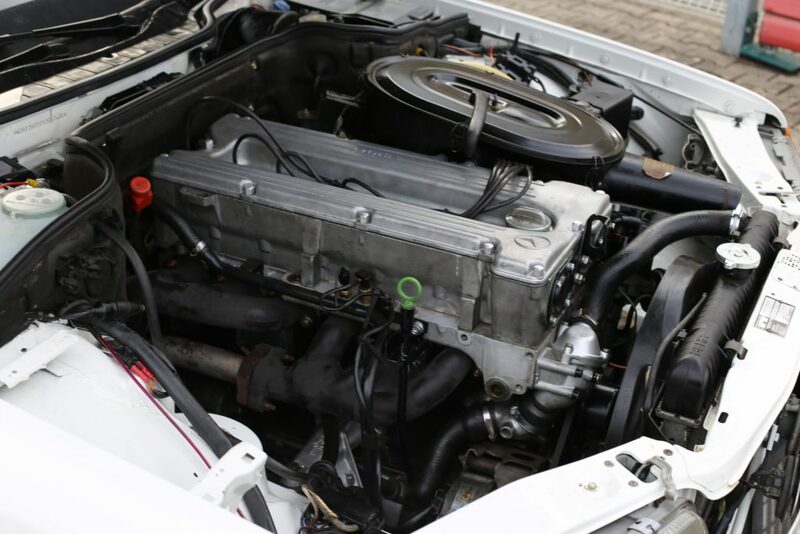 As you can imagine, it’s been meticulously maintained with full engine and gearbox rebuilds. 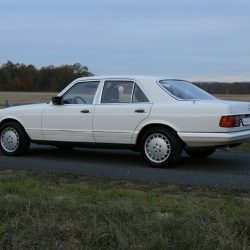 The car has almost been saved, for want of a better word; over the last 4 years he was loathed to part with it, such is the quality of the drive. 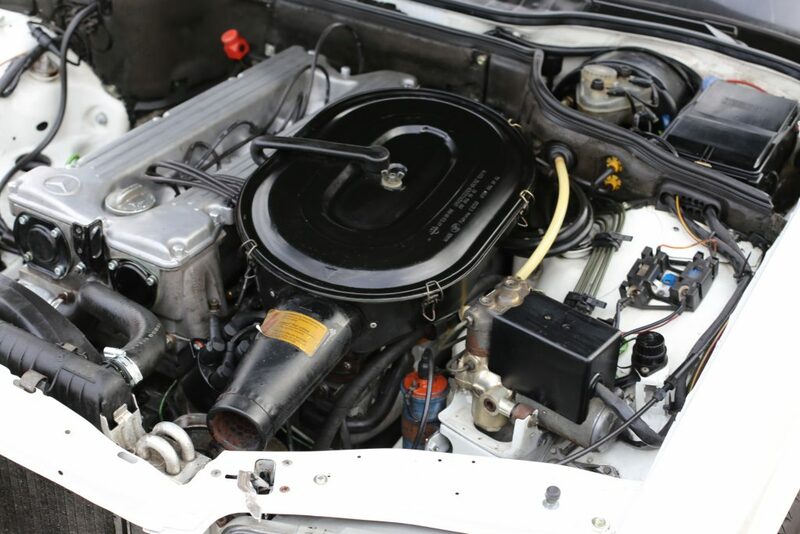 Despite the lack of specification, he thought the drive was more important and simply wouldn’t part with it. 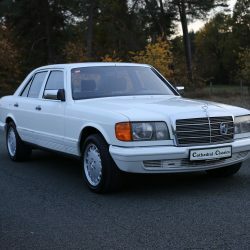 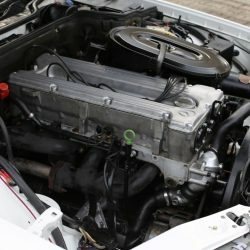 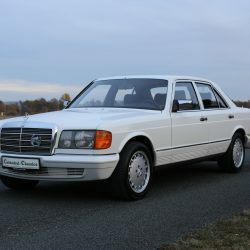 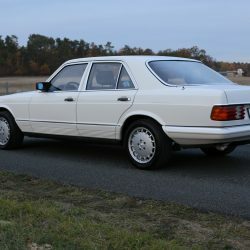 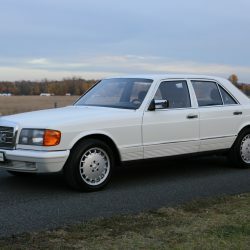 These W126 models are ridiculously inexpensive and can offer easy entry into the world of classic cars for very little money, and it benefits from historical registration in Germany where the car is currently registered. 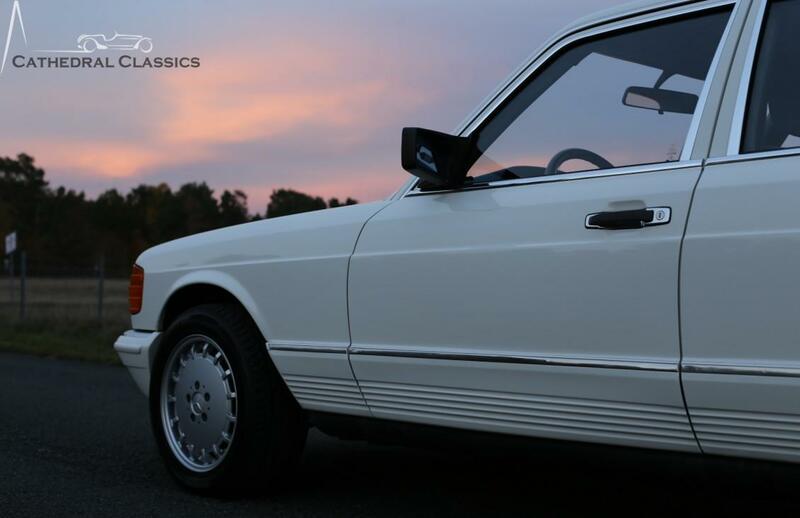 EXTERIOR - The imposing presence of the W126 Series, are instantly recognisable and this 280SE example is a fantastic testament to this design classic. 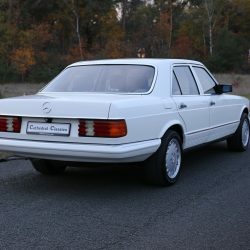 Finished in factory Arctic White it’s benefited from a complete respray in 2014; the car is still fresh covering just 3500 km’s in the last 5 years with all original panels nice and straight with even gaps. 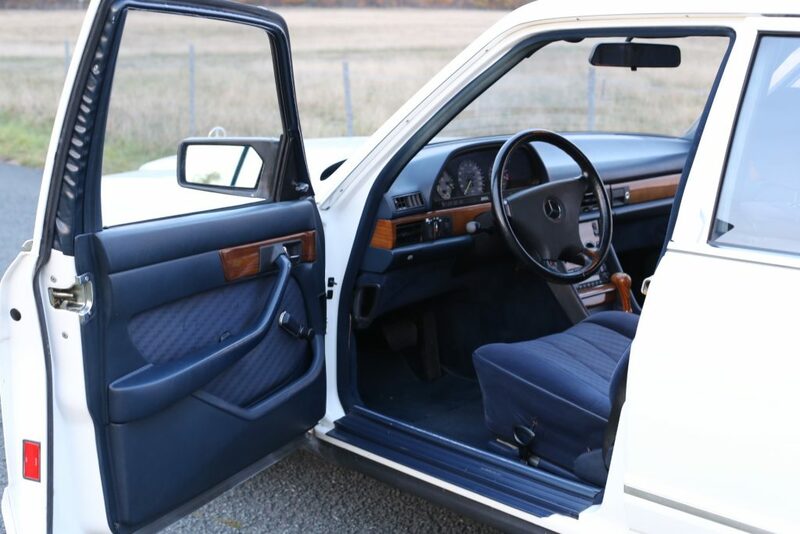 All doors close effortlessly with a reassuring thud enjoyed by Mercedes cars of this era. 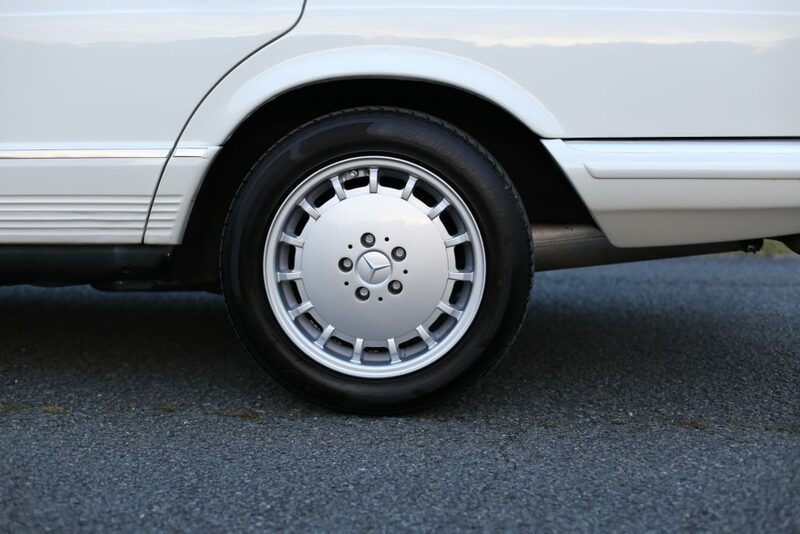 Minor age related markings are now visible upon inspection but hardly warrant a mention. 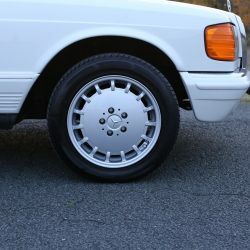 These include a small chip to the boot. 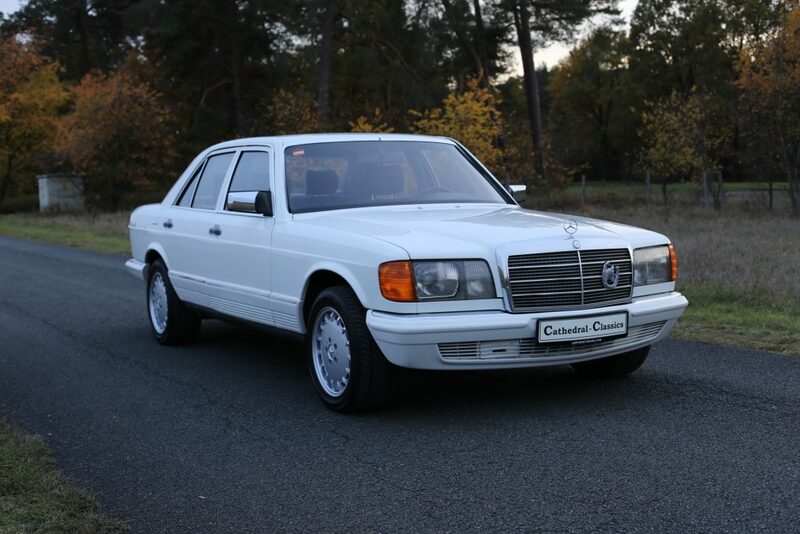 An excellent example synonymous with unrivalled Mercedes-Benz build quality. 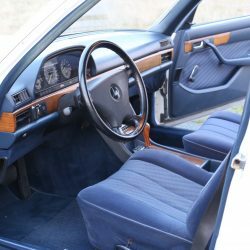 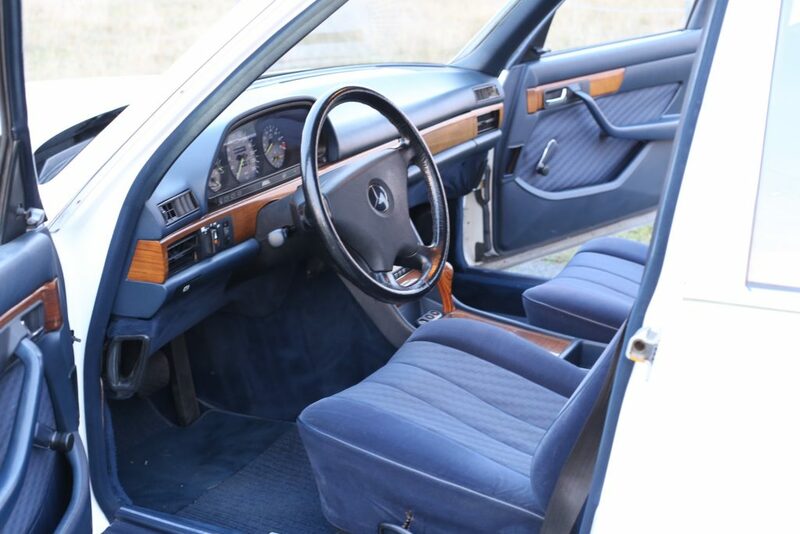 INTERIOR - The superbly engineered cabin space of the Mercedes-Benz W126 is widely renowned for unparalleled build quality, and certainly set the tone for Mercedes for the coming decades. 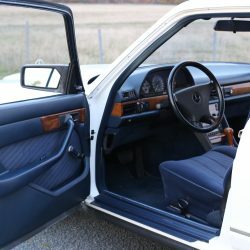 This entry model example is not blessed with any level of electric factory options but, does offer a certain charm once you get used to the manual mirrors and wind up windows. 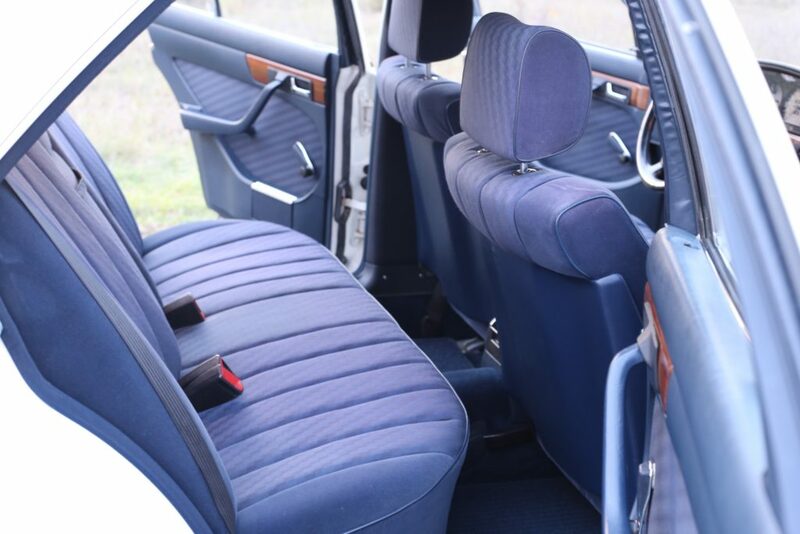 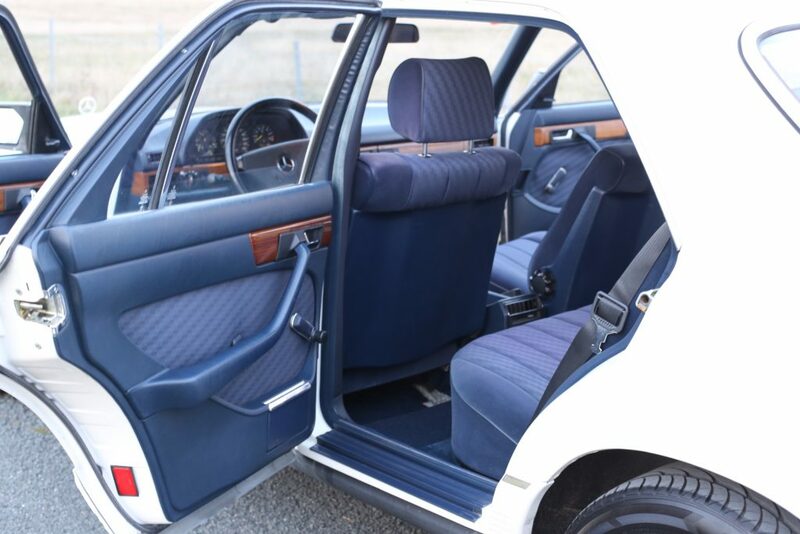 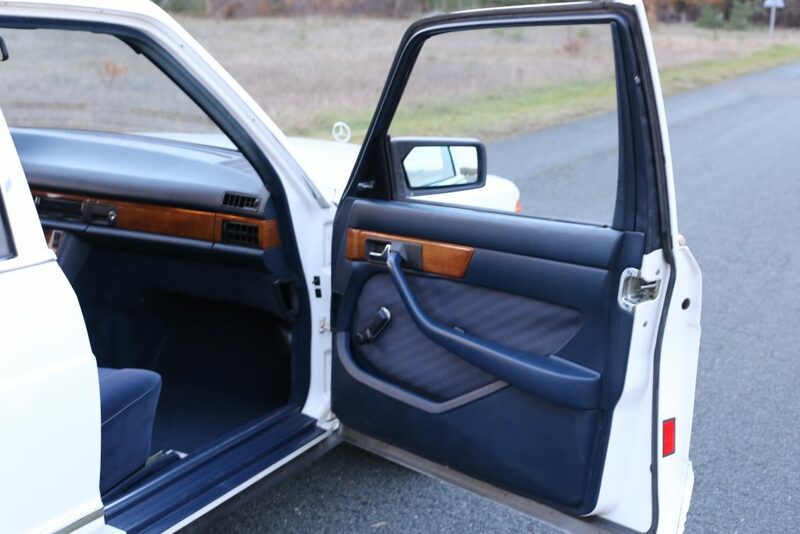 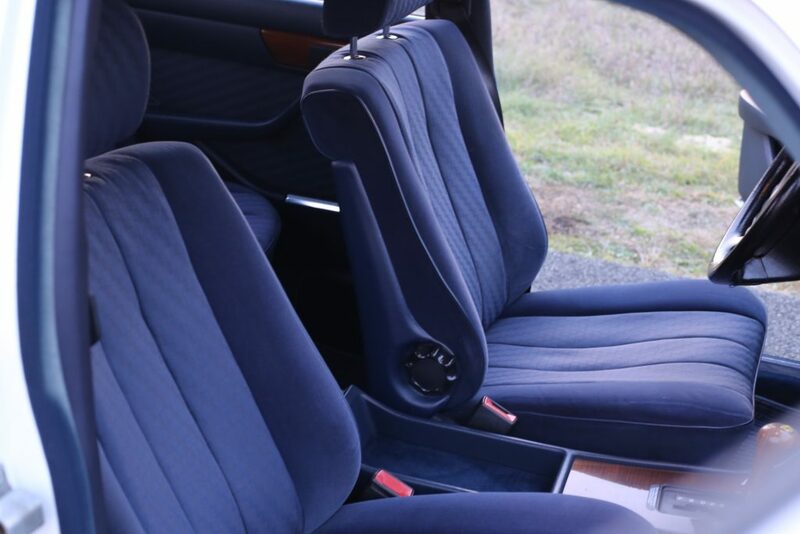 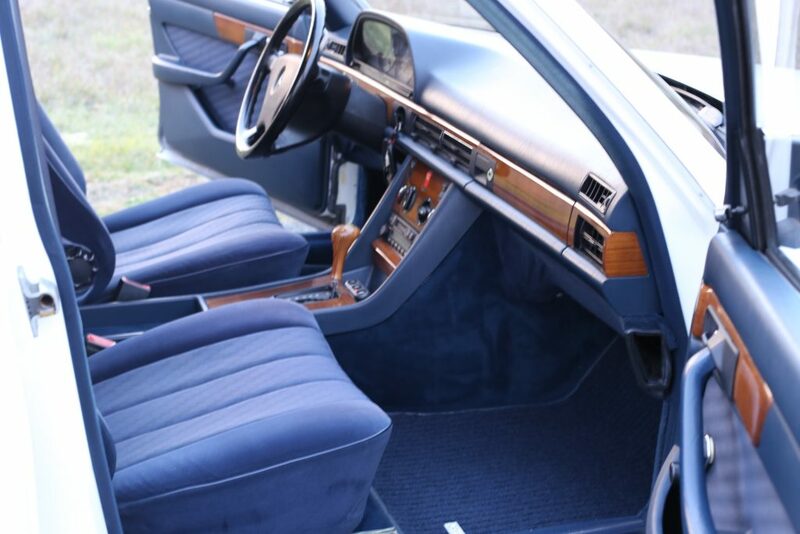 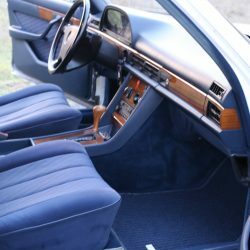 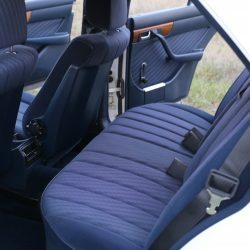 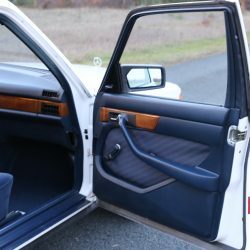 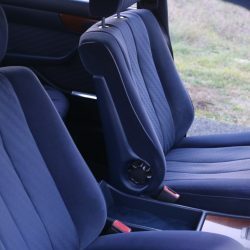 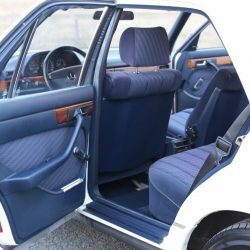 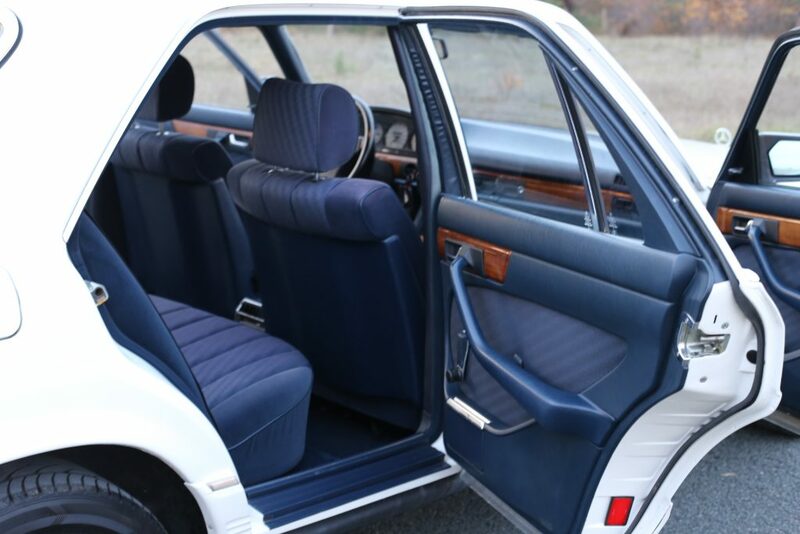 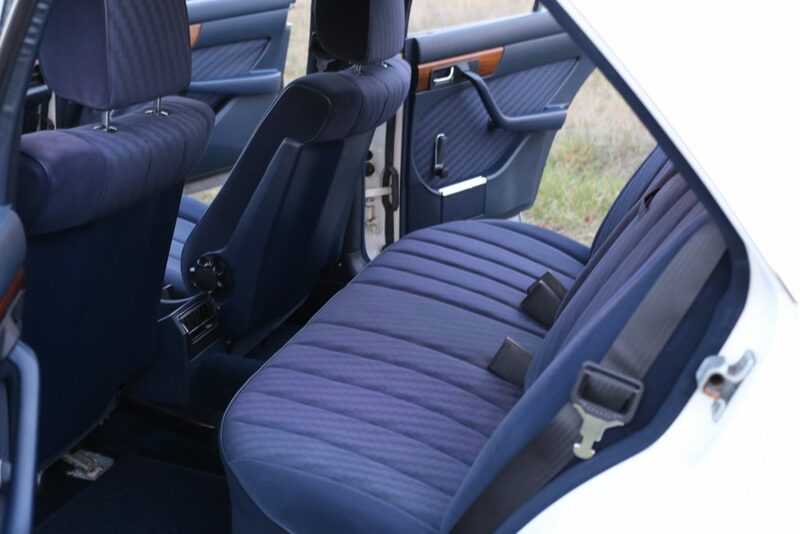 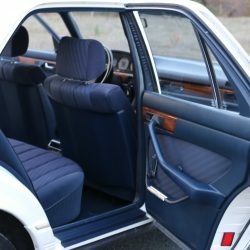 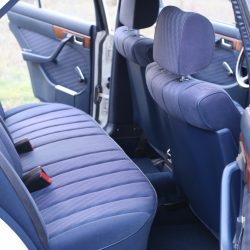 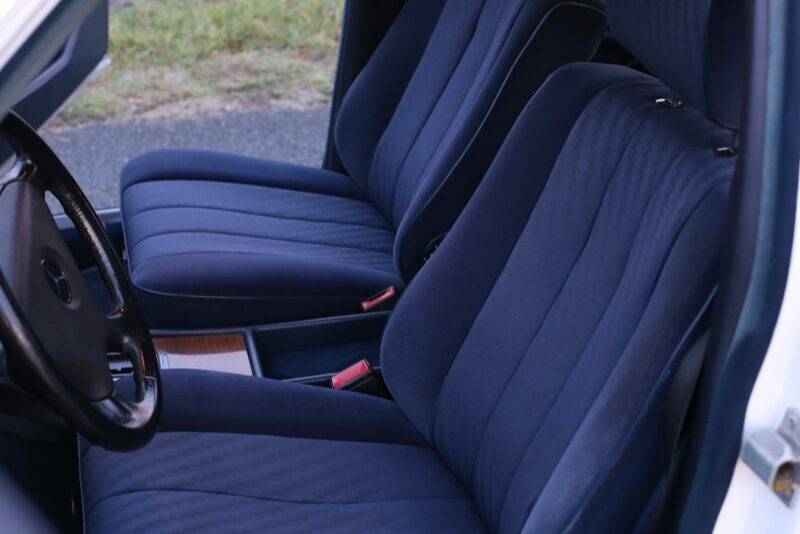 The blue cloth interior contrasts well the white exterior and, considering the car is over 30 years old, the seat bases and bolsters remain absolutely firm and have retained all shape. 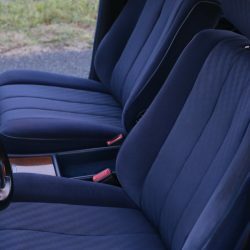 A small repair to the base of the driver’s seat is evident. 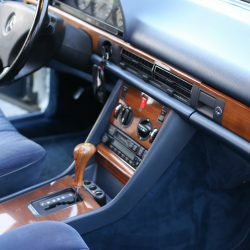 One area of ‘electric comfort’ is the radio antenna along with central locking. 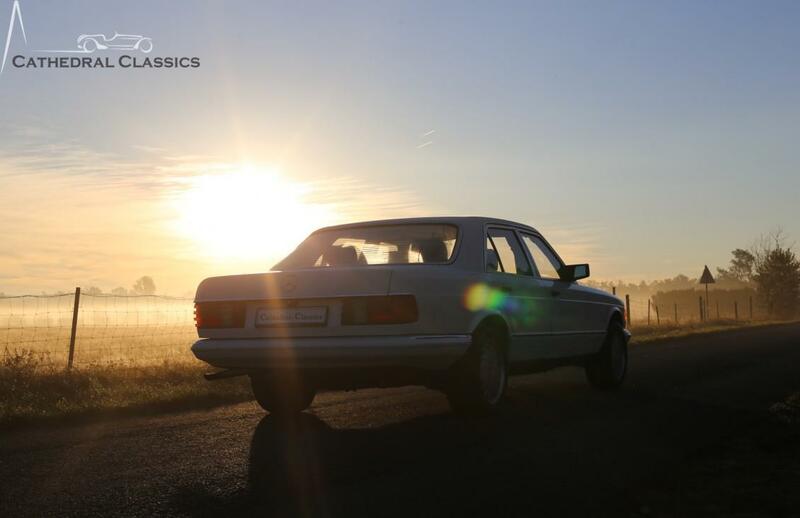 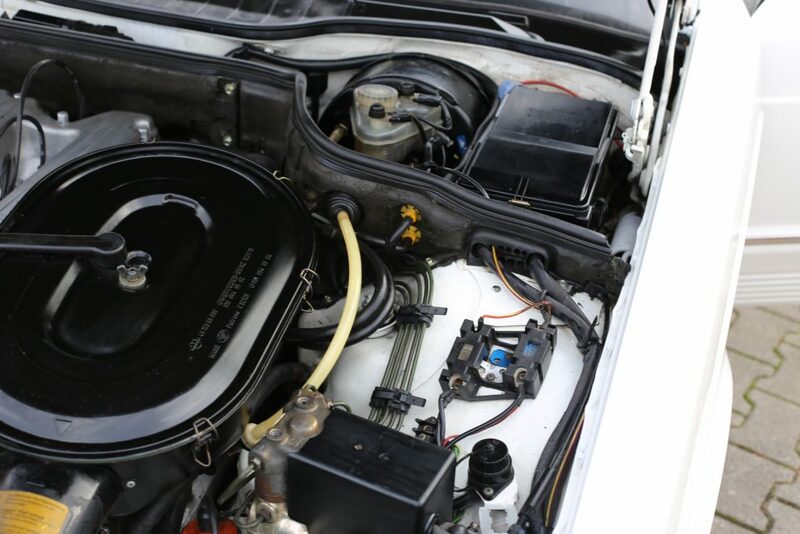 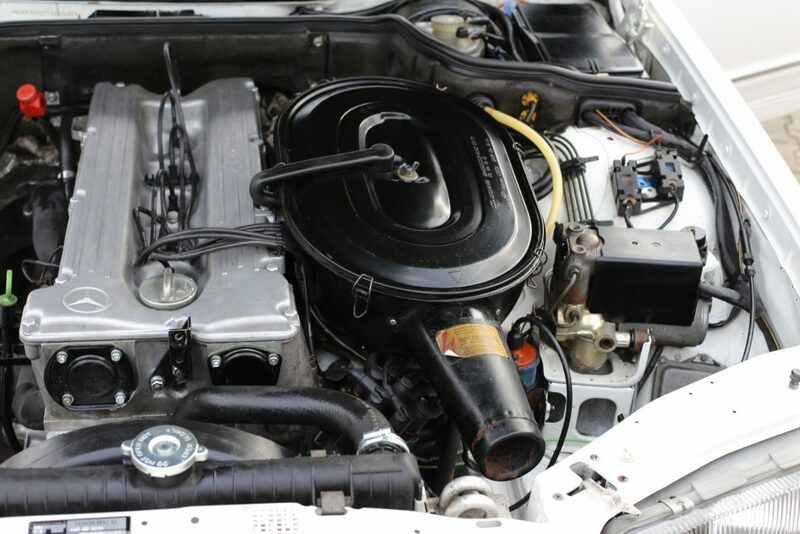 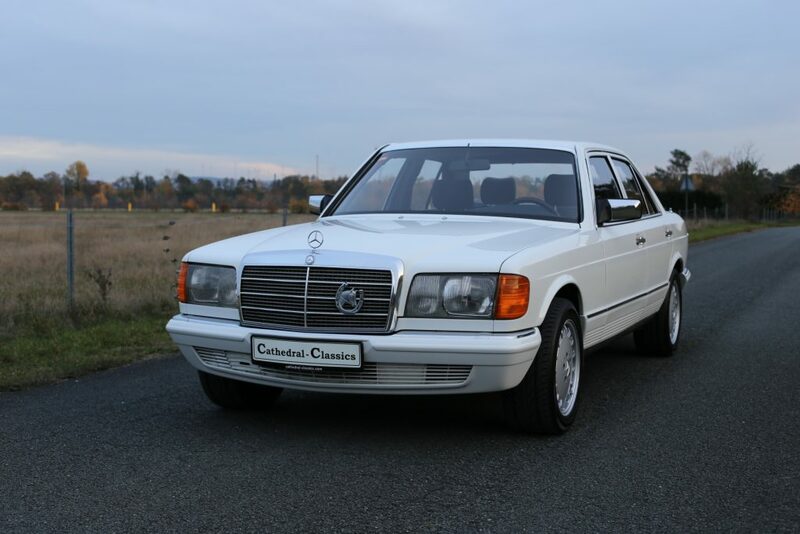 ENGINE & TRANSMISSION – Technically, this exceptionally robust W126 example is a super driver. 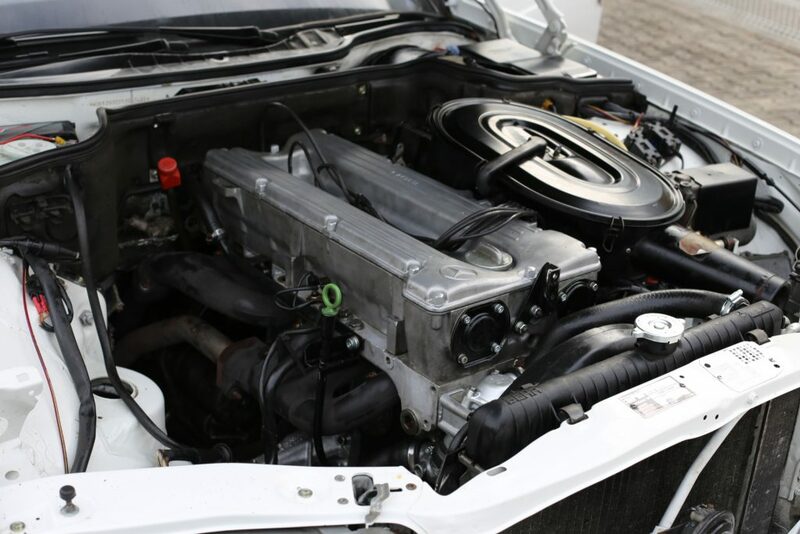 A recent complete engine overhaul, combined with an automatic gearbox rebuild by TEO Motors (renowned automatic gearbox specialist) and a complete fuel injection inspection by a Bosch Service specialist, have set this Panzer build quality car well for the future. 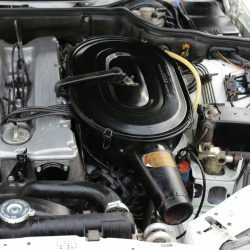 Fitted with the Mercedes six-cylinder in-line injection unit of 2717cc displacement, the engine produces 185bhp (136 kW). 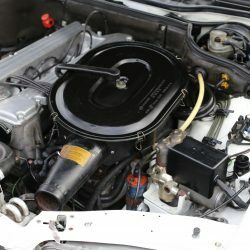 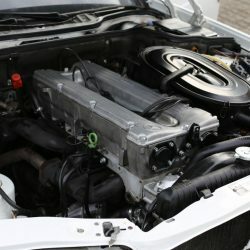 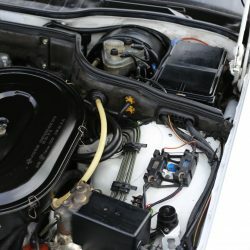 The engine bay is beautifully presented. 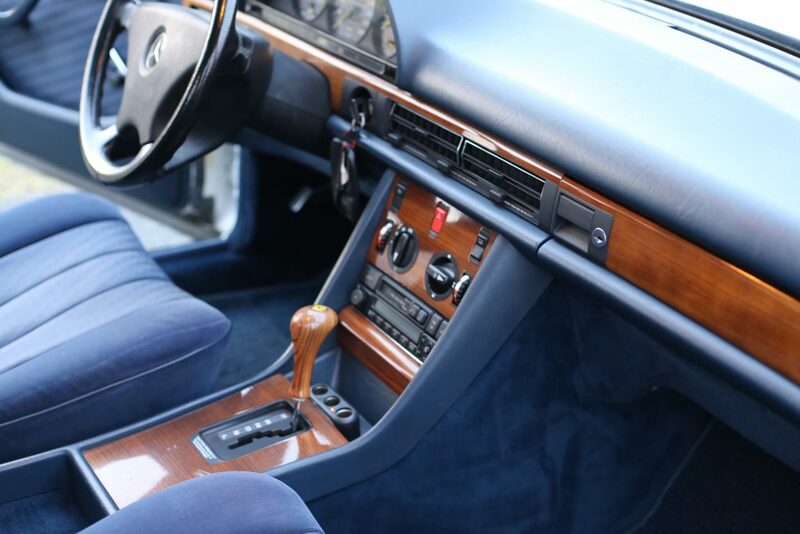 The four speed automatic transmission offers effortless but steady power. 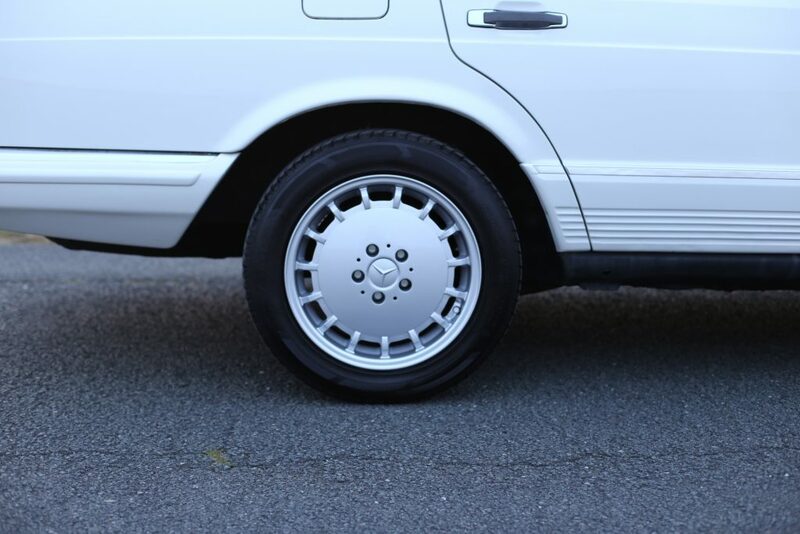 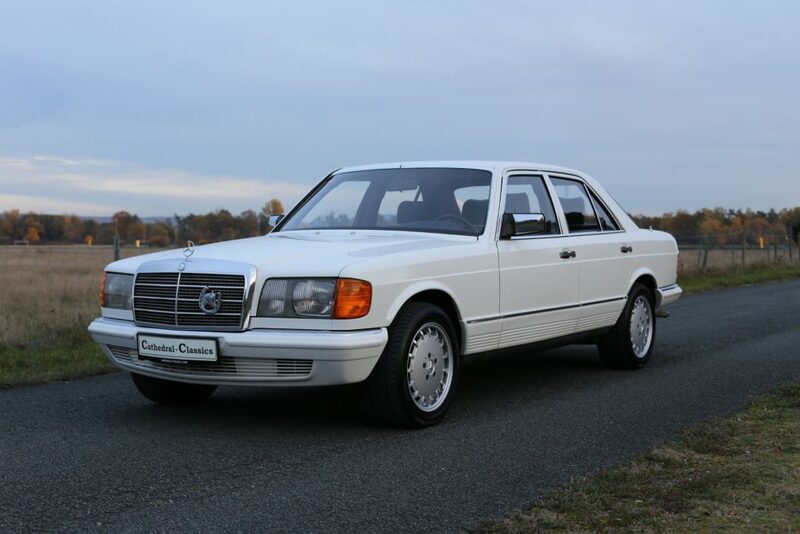 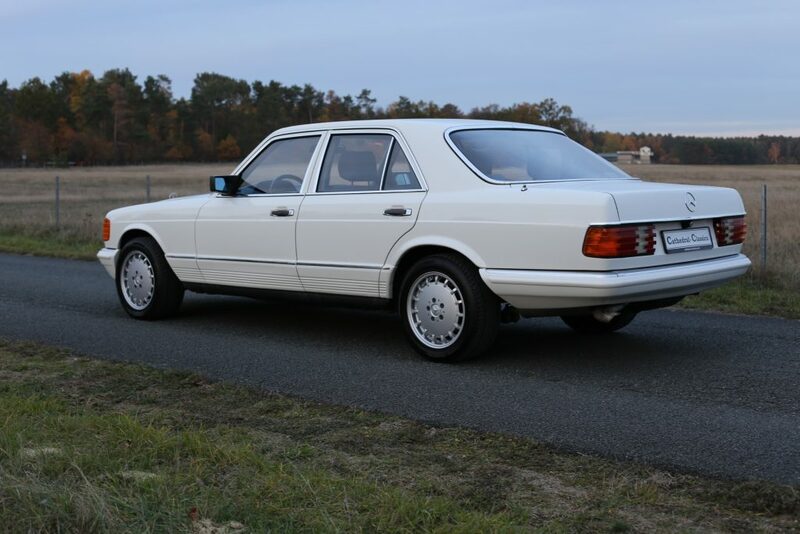 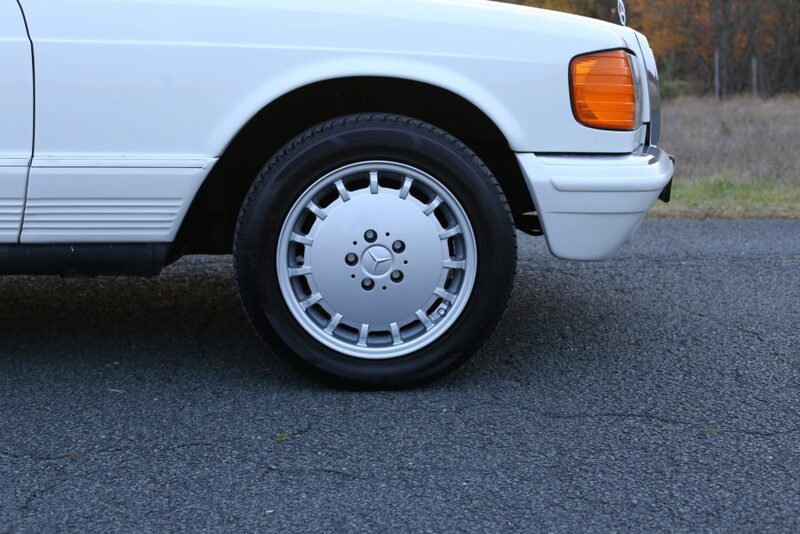 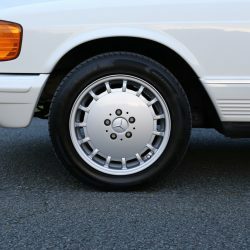 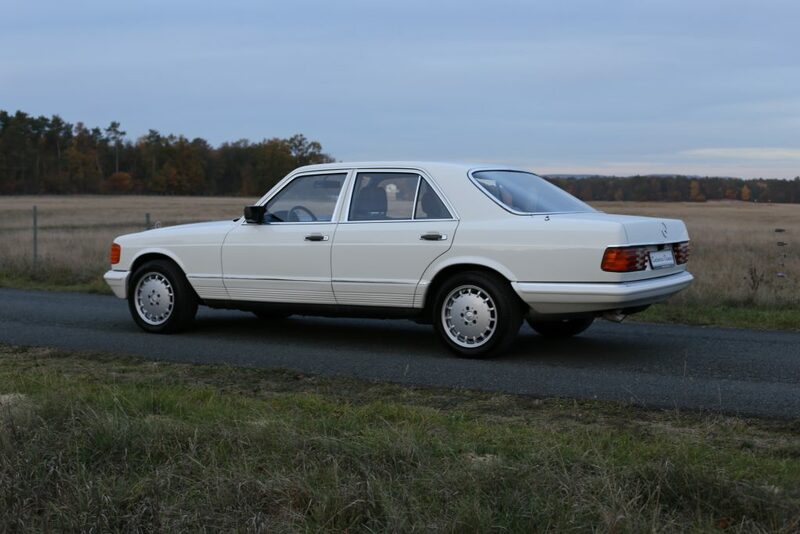 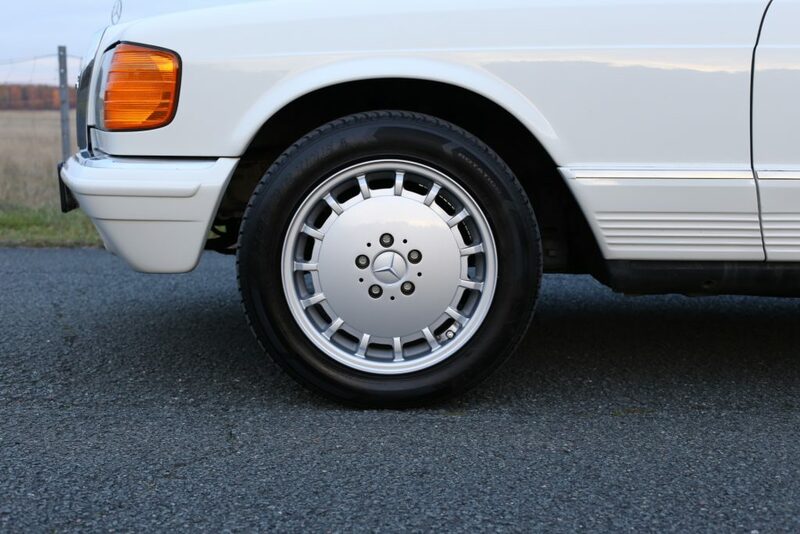 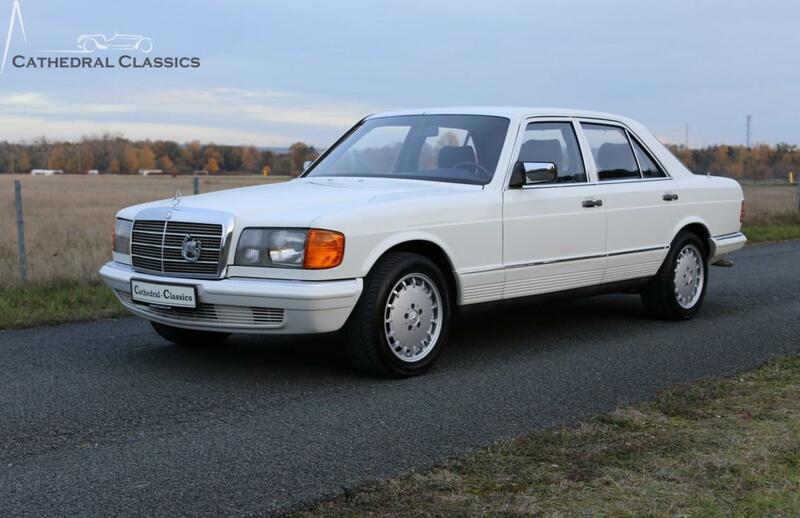 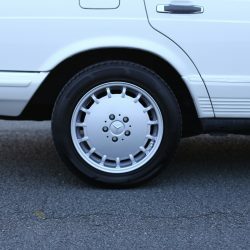 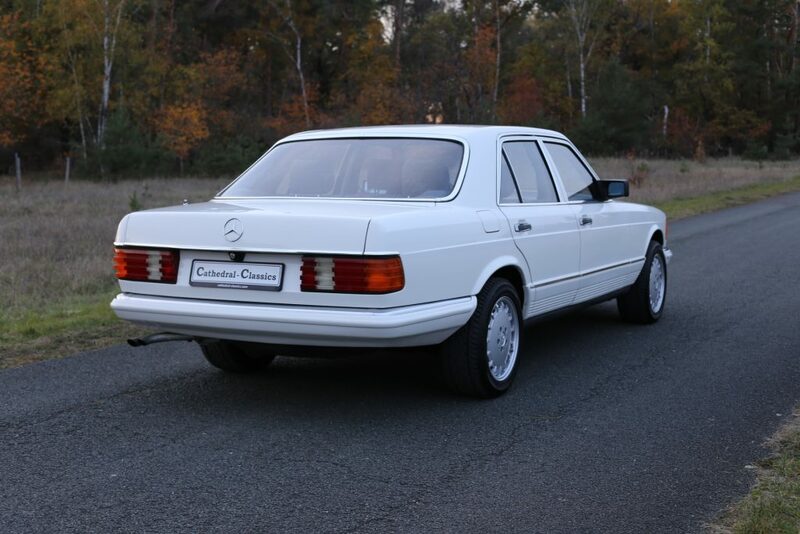 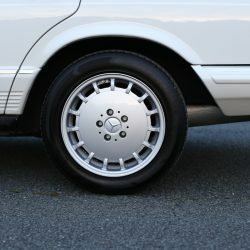 WHEELS, TYRES & BRAKES – Our W126 example is now fitted with original Mercedes “S-Klasse” alloys covered by approved 225/50 R16 tyres offering plenty of tread as the superb brakes pull up this white beast straight and tight.